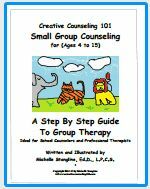 School Counselor Guidance Lesson: August / Bullying Prevention & Back to School Story: Start the Year Off Right! There was once a school called Warm Fuzzy Elementary School. All the Warm Fuzzy Friends went to this school. Warm Fuzzies are little balls of pure love and kindness. It was a wonderful school that was a safe and happy place for all children. All the Warm Fuzzy Friends were nice to each other and showed wonderful manners to their teachers, principals, and other adults in the building. When the Warm Fuzzy Friends arrived at school each day they smiled and said a cheerful hello to each and every student in the class. They also made sure that they smiled and said hello to their teacher. After they made everyone feel warm and fuzzy, they sat down and did their class work quietly. If a Warm Fuzzy Friends had a question he or she did not blurt, or yell out. They raised their hand when they needed something, or had a question. When a Warm Fuzzy Friend needed to use the restroom, or sharpen a pencil, they also raised their hand to ask permission. Can you raise your hand in a warm and fuzzy way? When walking down the hall with their classmates they walked silently in line. They practiced the “Hip and Lip” technique. One hand stays on the hip, the other on the lip. Can you show me the “Hip and Lip” technique (Hand on hip other on lip)? At lunchtime the Warm Fuzzy Friends showed polite manners in the lunchroom. They did not yell across the table, or throw food at one another. They talked quietly to the other Warm Fuzzy Friends at their table. Once they finished their lunch they cleaned up all their trash and pushed in their chair. At recess the Warm and Fuzzy Friends made sure that everyone was included in the games. No one would ever allow another Warm Fuzzy Friend to be ignored at recess. Everyone felt included and loved, especially at recess time. In the hallway the Warm Fuzzy Friends were kind and polite to one another. They smiled at all the Warm Fuzzy Friends they passed in the hall. No one would ever dream of saying mean things to another Warm Fuzzy Friend. And everyone in the school was considered a Warm Fuzzy Friend. No one was ever left out. The Warm and Fuzzy Friends would never even think about gossiping, or talking badly about another Warm Fuzzy Friend. They would never want to hurt another Warm Fuzzy Friend’s feelings and make them feel bad. Whenever the teacher was talking and teaching the Warm Fuzzy Friends made sure they listened to the teacher. They would never consider talking to another Warm Fuzzy Friend when the teacher wanted them to listen and be quiet. So, you see, in this school of Warm Fuzzy Friends everyone got along and everyone was kind to one another. 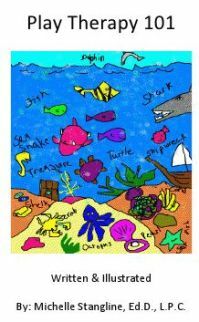 The Warm and Fuzzy Friends listened to their teacher and minded their warm and fuzzy manners. And guess what happened after that? The Warm and Fuzzy Friends became the smartest students in the entire world! This was all because they listened to their teachers and minded their manners. They had more time to learn than the kids at other schools who were not showing warm fuzzy behavior. And because they learned more they were smarter than all the other kids in the world! The principal, Dr. Sweettart, decided one day to change the name of the school from the The Warm and Fuzzy Friends Elementary School to: The Smartest Warm and Fuzzy Friends Elementary School In The World! Do you have a Warm and Fuzzy Friends School? If not, what can you do to make your school a Warm and Fuzzy place to be? We all have two choices to make each day…. Warm Fuzzies or Cold Pricklies. Are you going to give warm fuzzies, or cold pricklies to others today? The choice is yours. 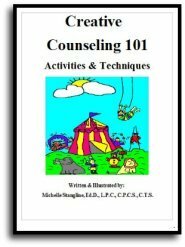 I hope you enjoy my “Warm Fuzzy Guidance Lesson Stories”! 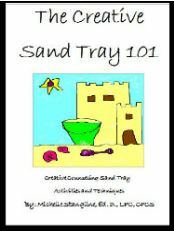 I have included the following pages for you to view on this subject. 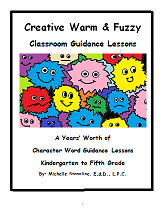 If you want more guidance lesson ideas based on the warm fuzzies please check out my new (Spring 2014) eBook entitled, “Creative Warm and Fuzzy Guidance Lessons”! 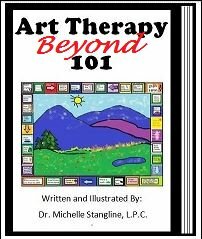 This book will give you a year’s worth of kindergarten through fifth grade guidance lessons with posters, stories, and lesson plans.